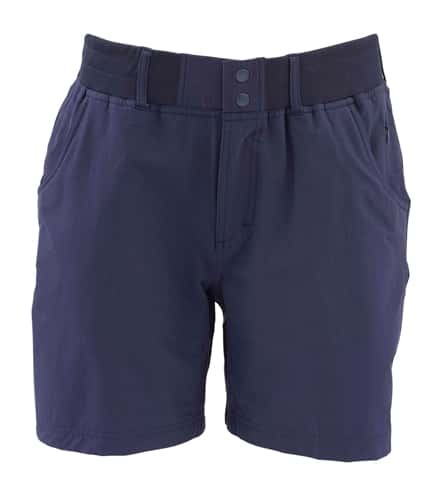 Contoured, easy-breathing shorts designed for casual comfort on, off, and in the water. Simms’ UPF50 Drifter Shorts feature contoured lines for comfort and style, while water-resistant, wicking, quick-dry fabrics acclimate to changing conditions. Wide, rib-knit waistbands improve adjustability. Able inseams enhance mobility. And two zip-secure thigh pockets have ample storage for on-the-go essentials. Double snap-front closure and traditional fit come standard. 28" - 30" 36" - 38" 31"
28" - 30" 38" - 40" 31"